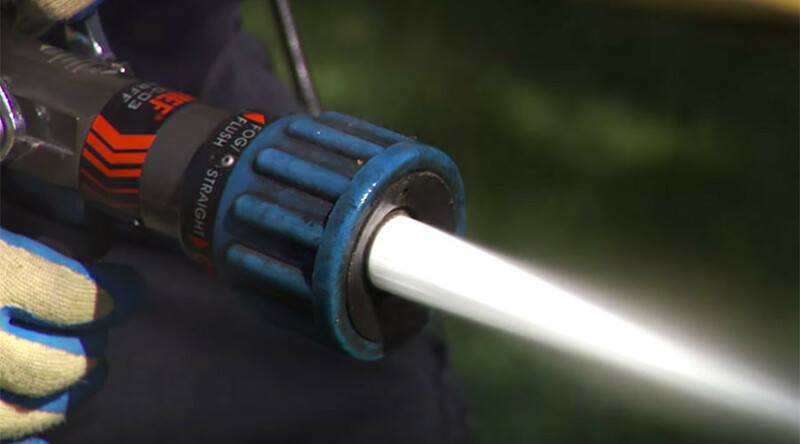 Police in Orange County, California, shot and killed a man after spraying him with a high-pressure water hose. They say he barricaded himself in his car and pulled a knife. The identity of the man, a 33-year-old father of six, has now been confirmed. The incident began around 11:15pm Sunday, when City of Orange Police attempted to stop Michael Anthony Perez, who was driving a white GMC van with a broken tail light. Officers discovered a warrant associated with the license plate, according to statements from Police Sergeant Rob Thorsen. Initially, Perez refused to comply, but eventually, he did pull over in the parking lot of a strip mall in Anaheim. When officers made contact with Perez, he refused to exit the vehicle and barricaded himself in the vehicle with a gas can and a lighter, police said. Then Perez poured some gas onto a rag and lit a cigarette. “At this point, the officers were no longer concerned about the traffic ticket,” Orange Police lieutenant Fred Lopez said, according to the Los Angeles Times. Police called the Orange City Fire Department and requested an engine to assist them. Several officers distracted Perez, while others got into position around the car and smashed his windows with their batons. Police then pointed a fire hose into the car, spraying high-pressurized water to force Perez out. "I've been here for 22 years. I don't know that I've ever even heard of a plan like this. I think it was an excellent idea to use the water to prevent him from lighting himself on fire," Lopez told KABC. Police say when Perez finally climbed out through the driver’s side window, he was armed with a knife. A news release from the Orange Police Department says that they attempted to use “less lethal munition,” but they were not effective in subduing Perez. One officer fired a single shot, which hit Perez in the torso. Perez was treated on the scene by the fire department before being transported to a local hospital where he was later pronounced dead. Perez was later identified by his sister, Lovina Perez, who told KTLA, "He is not just another person shot by the police, he is a son, brother, and father." Perez’s widow told reporters at KABC that he had been living in the van for over a year, and was addicted to methamphetamine. She said that Perez had told her that he wanted to die. The Orange County District Attorney's Office is currently investigating the incident with the help of the police.